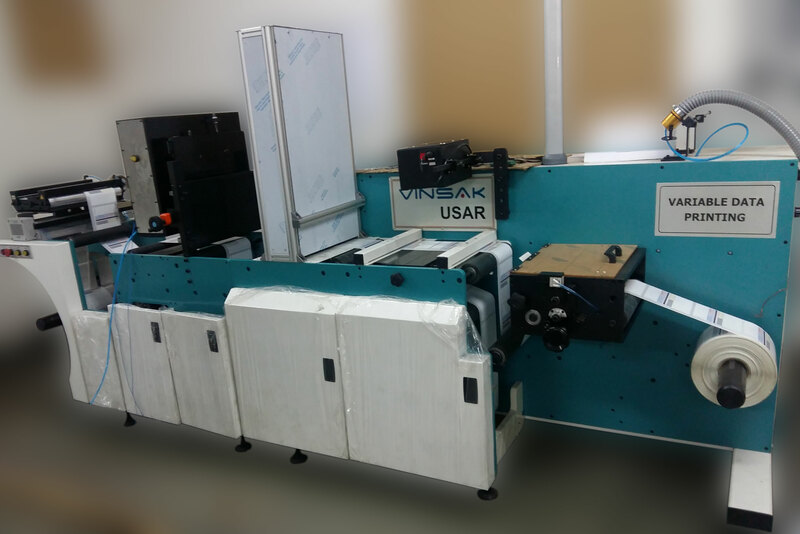 The Vinsak USAR (Universal Slitter & Rewinder) is equipped with a registered diecutting module, a Vinsak UV Inkjet System and 100% camera inspection system. The Vinsak UV Inkjet System can personalize variable data on various offset paper, coated papers, films, gloss papers etc. at a maximum resolution of 600 x 600 dpi. The press can use it for various applications such as tax and excise, stamps, transactional security printing, scratch cards, wads, flexible packaging etc. Vinsak has also provided 100% inspection system which can inspect each unique number, barcode or 2D code and offer 100% inspection.